The new Mexican government under President Andrés Manuel López Obrador has suspended the fourth long-term power auction, for which bids were due December 4. 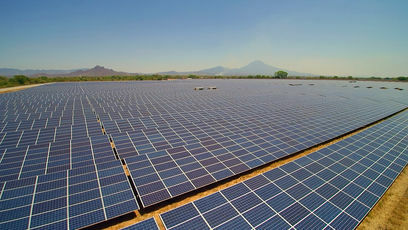 The suspension was announced in a press release from Mexico's energy control organism Cenace, which stated that the decision was taken due to the change in staff at the various government entities involved in the auction, namely state-run electricity utility CFE, the energy ministry Sener and Cenace itself. According to Cenace, the suspension will allow these entities to review the objectives and scope of the auction process. When this is finished, the auction will be rescheduled, according to the release. Some 26 companies have pre-qualified to participate in the fourth long-term power auction, far fewer than in the previous auctions. In the third auction in 2017, a total of 49 participants were pre-qualified, while there were 68 in the second auction in 2016 and 81 companies in the first such auction. Prices in the third auction also reached record lows, at an average of US$20.57/MW. Cenace previously presented a proposal to the energy regulatory commission (CRE) to postpone the auction until February 28, according to daily El Financiero.